PAINTING: Cornfield with Cypress. 1888. 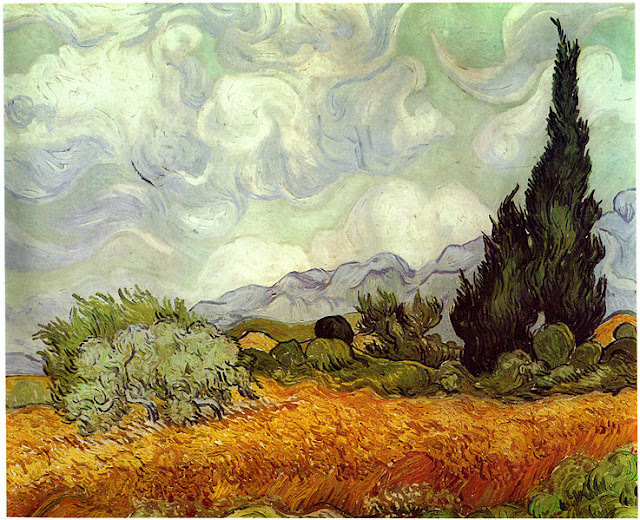 Oh what a beautiful painting, I never really thought about it before but many of Van Gogh's paintings were about nature. He must have really loved it.